It was a simple, short trip, only 2 days in which we got only 2-3 hrs of shopping time. Me, Ritcha and my kiddo, we started our market trip from the very famous Bapu Bazaar in Jaipur. 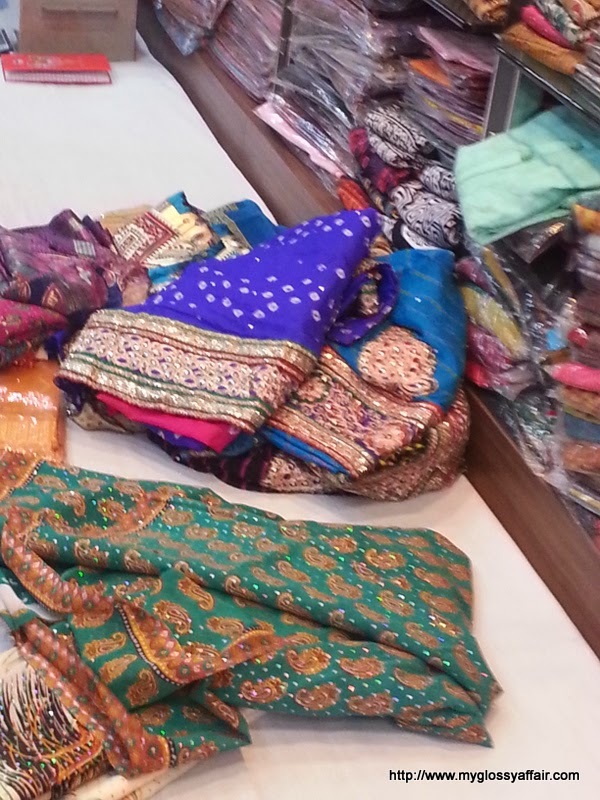 This is a very famous market where you can get anything traditional, lovely sarees, suits, dress materials, kurta pajamas, many items, clothes and toys for kids, lots of jewelry of a material called laak which I love and a great range of bed covers. No one can come out empty handed but you will get such great deals that you never even want to come empty!! A beautiful multicoloured necklace that I bargained. I am loving it thoroughly!! Emerald green earrings that will go well with traditional outfits. A pure white embroidered Kurta Pajama set for my son. Pearly Flats. I adore these. I love the beauty and comfort that flats give and love them as daily office wear. I have been there many times, since I got married , i.e., last four years, I have been to Jaipur at least 4-5 times as it is an easy weekend destination from Delhi and there is something for everybody to enjoy. If you are a history lover, then there are lots of historical monuments like Hawa Mahal, Amer Fort etc. and if you want to spend an evening full of Rajasthani tradition, then you can head to Chokhi – Dhani, which I personally prefer most. Chokhi dhani has everything you can remember of Rajasthani culture. You can easily spend 3-5 hours there. There are various games like shooting etc. which you can enjoy. Then come some shows like magic shows, snake shows, circus type small scale presentation by various artists etc. There is a potter, a mehendi wala who constantly applies henna on hands. Then you have many options in terms of swings too which kids can enjoy. 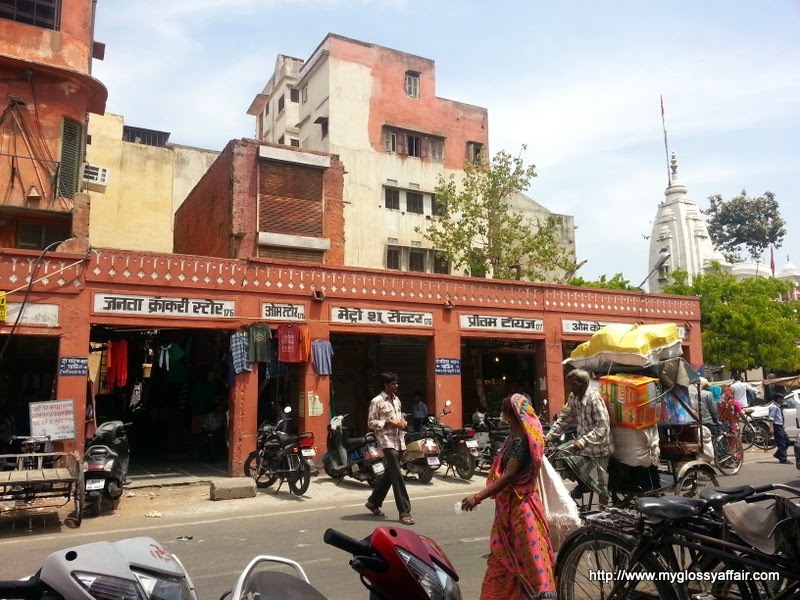 Now, coming to the most famous part of Chokhi dhani – THE FOOD. Lots of stalls of various food items, snacks, kulfis, ice creams etc. which you can enjoy. But, clock strikes 8 and there comes the announcement of food. The food is not only about dinner but it’s a glimpse of whole Rajasthan. Lines start forming in front of hall where dinner is being served. Seating arrangement is on the floor there in lines with proper matting and a clean traditional ambience. You feel so good once there. Now, they start serving you. Loads and loads of food variety. At least 5-6 varieties of vegetables, curd, buttermilk, 4-5 varieties of breads like bajra, maize, wheat etc., rice, pulao, khichdi, pickles, chutney and loads of desi ghee (butter) on everything which they pour on your food like water irrespective of how much you request them not to put ghee in your plate. They will!! Then comes the sweets time. Mithais J. Again, come 2-3 varieties of traditional Rajasthani sweets. By now, you don’t have space left in your stomach for any helping but then, you can not leave the helpful staff thinking that you didn’t like the lovely food. They will serve you and force you to eat anyways ;). The staff is so well behaved and trained that they are eveready to take any special requests from you. They are ready to take pics of you anytime. 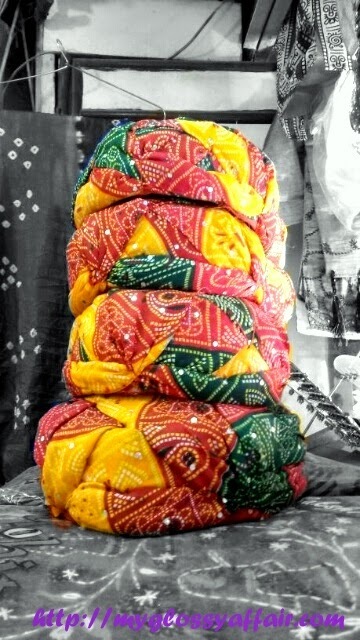 They give specialrajasthani turbans to you to wear and get pics clicked in them. They keep talking to you and make you feel like a very special guest. And when I went earlier, when my son was not even 1 yr., they were eager to help me to take his care so that I can enjoy my meal peacefully. That was the best experience ever. So overloaded with work with a big hall full of people who are ready to eat food and you have to serve them everything and even then, you are ready to take care of a 5-6 month old infant!! Finding out time from the little time we were given there, we, me and Ritcha, took some clicks of her too in a traditional outfit. Here, Ritcha is wearing a black shirt with white embroidery over it accompanied with a Patiala salwar and a beautiful dupatta (stole) over it which has Pakistani special work/ embroidery. So much gorgeous color and those snakes are so cool!!! I would adore spending time in such places and learning all they have to offer. Great post! Jaipur is incredible…. loved the post. Lovely place and lots of retail therapy. Love the colorful sandals the images are outstanding. you look very nice 🙂 great pictures! Looks like such a nice place to visit. I really love the colorful market. 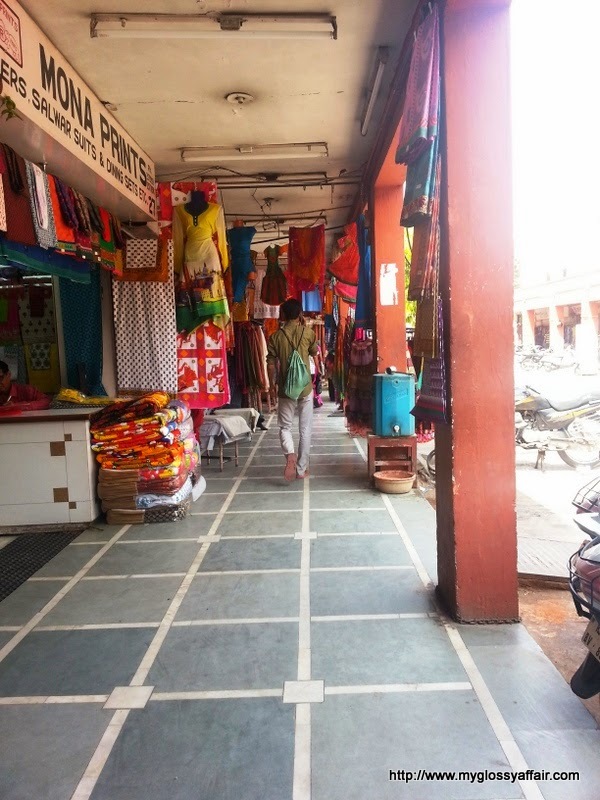 I visited Jaipur a few years ago and loved the beautiful colours and culture, you found such amazing pieces at the market. Thanks for your kind visit, hope you're having a wonderful weekend. I love these pics!! The bazaar is amazing, so full of beautiful colours! There are many beautiful things! It sounds like you had a great time. Thank you for sharing your experience with us! I love ur flatss. 😀 great post charu! hey, thanks for your sweet comment on my blog! Those sandals are gorgeous! I love the sandals and bracelets. I like the outfit and look great. Thnkz and again lovely post and pics…..
Lovely photo´s! 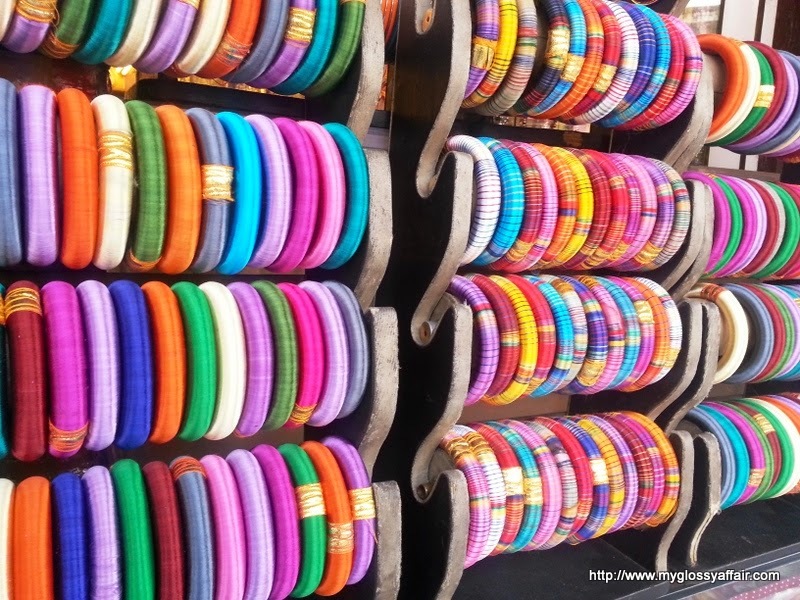 The colours at the Bazaar are amazing! wonderful pictures! i really love these colourful shoes! fantastic! Such a gorgeous post Charu! Lovely outfit! So cool pants! I like the bandani sari way too much! awwww looks like a lovely trip! Ritcha looks absolutely stunning in indian attire! Charu.. you post reminded of me recent visit to Jaipur.. 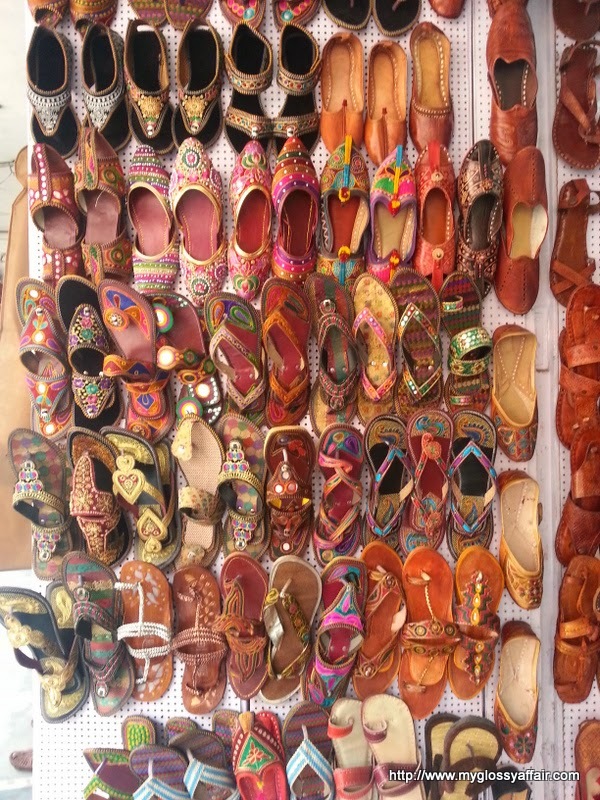 Though I did not have that much for shopping yet I liked the place a lot…specially Amer fort ! the pix are fab… and the neckpiece is just too beautiful dear..
Looks like a lovely trip! And you've got so many beautiful goodies :)! 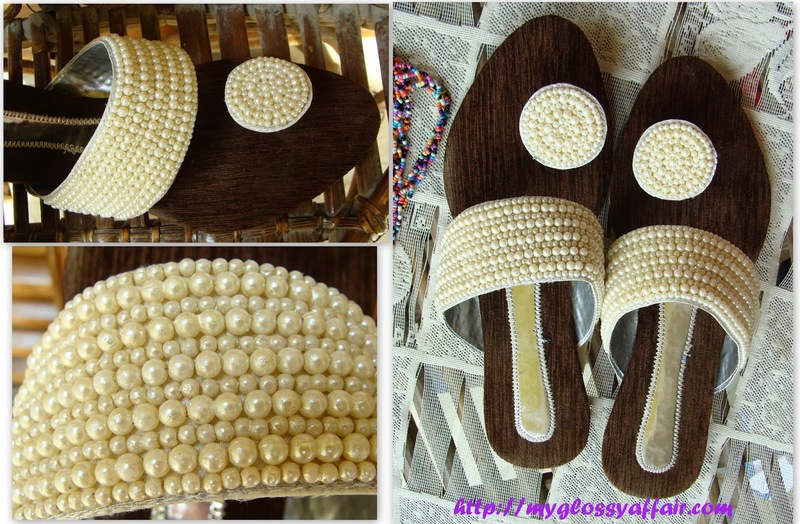 love the jewlery and chappals! Pretty Picturesss! And you look sooo pretty. So many pretty colors and pieces 🙂 thanks for sharing! Loved those saris and accessories! Seems like a must visit place! Hi, beautiful pics!! Love the multicoloured necklace and your pearly flats. i love the colors in the jewelry. you look so beautiful!